Car rental worker Alin Jar, 31, was on the wrong side of the road when his car ploughed into the Renault Megane driven by Amanda Todd on the A90 near Toll of Birness on March 5, 2016. In the Megane along with Mrs Todd were her husband, her 57-year-old mother Jamesina Stewart and two children, aged three and six. Seconds before the horror crash Mrs Stewart and the children were singing in the back seat. She was sitting in the middle with a child on either side of her. Mrs Stewart died at the scene and her daughter Mrs Todd’s legs were crushed. When Jar crashed he was on his way to deliver a Vauxhall Meriva. Mrs Todd needed to have four operations on her legs and has been left with a noticeable limp. The occupants of the Megane had been on a Mother’s Day weekend trip to the Happy Plant Garden Centre in Mintlaw and were heading towards Ellon. 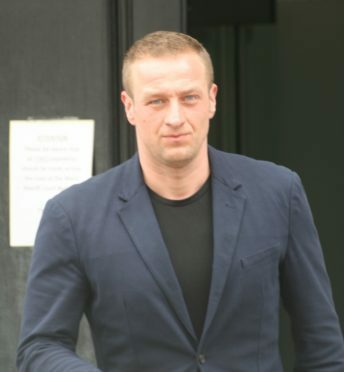 Jar was convicted of causing Mrs Stewart’s death by driving dangerously. He has two previous convictions from 2014 for speeding. David Moggach said: “Mr Jar has asked me to express his deepest apologies and condolences to the family.